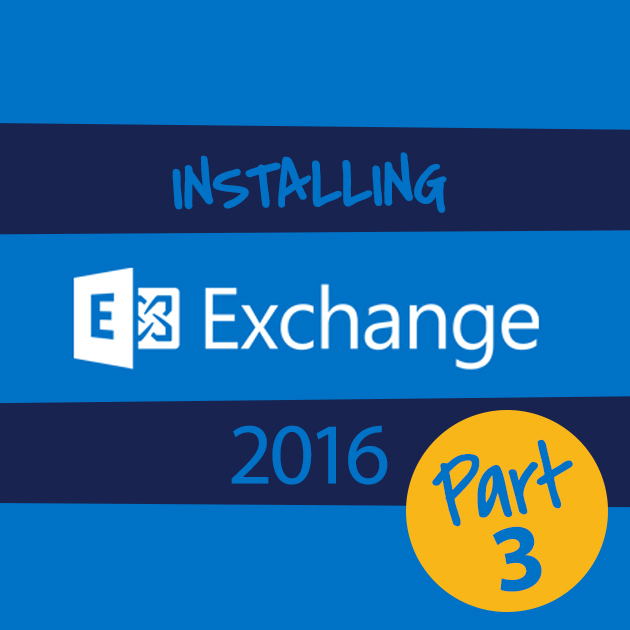 Welcome back to our series on installing Exchange 2016 into your existing organization. This is our third post in this series and just in case you stumbled upon this one first you can read part 1 here and part 2 here. 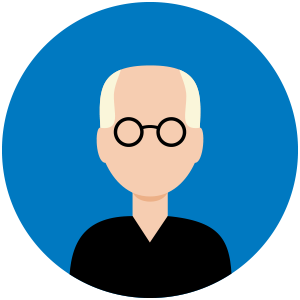 In this post, we’re going to look at a free tool from Microsoft that we’ve discussed before here at GFI, and that we are going to use to guide our overall deployment of Exchange 2016 – the Exchange Deployment Assistant. Online at http://aka.ms/exda, or https://technet.microsoft.com/en-us/exdeploy2013/ if you prefer your links longer, the Exchange Deployment Assistant is an online tool that has been available for years and that Microsoft updates with each new version of Exchange. Many people think of this tool as only for Office 365 Hybrid deployments, but they are missing out, as this tool is all about Exchange-Hybrid, new installs, and upgrades. At present the ExDA has only been updated for Exchange 2016 in two scenarios; new installs, and upgrades from Exchange 2010, but since our model in this series is to deploy Exchange 2016 into an existing 2010 org, that works out well for us! Don’t worry if you are looking for guidance on a 2013 or mixed 2010/2013 org as that will be coming soon. For now, click on one of the links above to create your checklist if you want to play along at home, or just roll with me below. Since we are not talking about Office 365, we will start with the On-Premises only model. This will be the first choice you make no matter what your on-prem environment is. Hybrid is for connecting your existing org to Office 365, and Cloud Only is just what it sounds like. Select on-prem and then click Next. Since we are deploying 2016 in this series it is of course the way to go, but notice that the ExDA does cover both 2013 and 2010 scenarios. They are still supported but I have to question anyone who wants to do a new deployment of Exchange 2010, since it is N-2 and in extended support. Of course, there are some Exchange 2007 and even some Exchange 2003 orgs still out there, so getting them up to 2010 is a necessary intermediate step and the ExDA does include details on how to do that too. Select Exchange 2016 and then click Next. Four choices are here, of which only two are currently available. Like I mentioned above, we’re doing an upgrade from 2010 here, so we will choose Upgrade from Exchange 2010. Check back soon for 2013 and 2010 upgrade scenarios, or just watch this blog as we will let you know when those go live. Select upgrade from 2010 and then click Next. Here, we need to identify if we have a disjoint namespace. That’s not the most common scenario and it’s not the one in our lab, but some orgs do use one DNS name for Active Directory, but assign machine FQDNs into a different domain name space. Answer appropriately and click Next. For our blog series here, we don’t so we click No and then click Next. If you have Public Folders, may I respectfully suggest this is the time to get rid of them? Seriously, there’s nothing that Public Folders do today better than any of the alternatives, and the only legitimate reason I can think of to keep them is to support legacy workflows you just don’t have the time or ability to modify. If you’re in that boat, then yes, you need to migrate them. We don’t so we won’t, but if we did, we would move that content to shared mailboxes, SharePoint teamsites, and resource mailboxes and finally get rid of Public Folders forever. So, we’re clicking No and then when it prompts to ask if we want to set up new public folders we will click “heck no!” and then Next. If you are using Edge Transport in your 2010 org, or you want to setup a new Edge Transport in your 2016 org, you can choose the appropriate option here. Whether you use Edge for hygiene, or as a DMZ host to accept mail from an outsourced hygiene platform, the role exists in Exchange 2016 and you have guidance here whether you have existing 2010 Edge Transport or want to start fresh with 2016. For out series, we don’t have Edge Transport so we are going to click No… and then Next. That’s it. 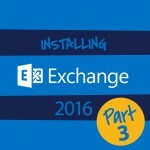 We now have a checklist for deploying Exchange 2016 into our existing Exchange 2010 organization. There’s a small FAQ at the beginning that includes steps for going back and changing an answer or starting over, but with the answers we’ve provided, we’re good to go. We can view it online or print it to either dead trees or to PDF. The checklist breaks things down into the major parts, with each step spelled out, and where relevant, ways to confirm each step worked. It’s a great Copy/Paste resource for those pesky but necessary change control docs! This is our list for doing the upgrade, and we will start with that in our next post. Create your own checklist and then check back with us for the our next post in the series.